190270993 -Why do countries have different institutions and forms of government? Why do some social revolutions succeed and endure while others fail? Why are some societies subjected to terrorism and not others? 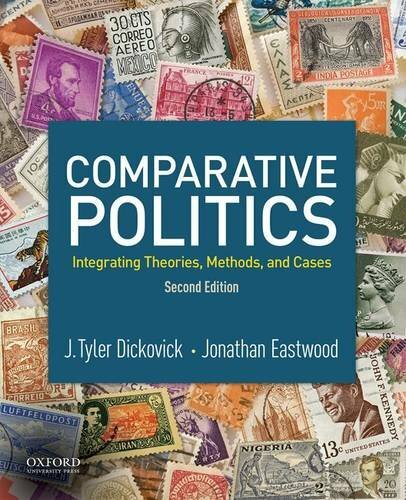 An engaging and accessible introduction to the subject, Comparative Politics: Integrating Theories, Methods, and Cases, Second Edition, gives students the methodological tools they need to answer the “big questions” in the field. The authors introduce methods early in the text and integrate them throughout in order to help students develop a systematic way of thinking about comparative politics.